Taxi Siófok - A phone call away! Taxi Siófok Cab Service - taxi prices Siófok, taxi hire rates Siófok, Taxi Siófok day and night available. - Ready when you are! At the Lake Balaton, Siófok and Zamárdi, Taxi Siófok is at your service in 0-24 hours! We want to provide a relyable, comfortable and precise taxi and cab service in Siófok to earn your trust! We keep our cars in good condition and pay attention to the qualification of our drivers! Our main goal is to make the journey and staying of the tourist who are visitin our country, a pleasurable and affordable experience in high standard. Quality is not a cheap slogan for the Taxi Siófok! It is our passion! Taxi / cab 4 pers. Taxi / cab 6 pers. The taxi prices in Siófok are standardized and established by the decree of the city council. The prices of the long-distance trips and airport transfers are not regulated. Our goal is NOT to be one of the cheapest, untrustworthy providers. We would like to provide quality for a reasonable price. 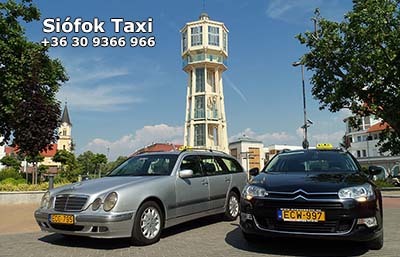 Taxi Siófok – appropriate for maximum of 4 persons, combi or limousine. 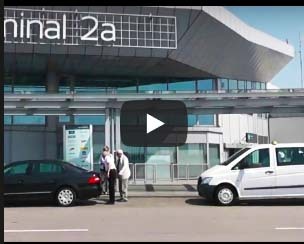 We suggest our E-class Mercedes combi, Opel Zafira or Citroen Grand Picasso with air-condition and big luggage-rack for airport transfers. We accept creditcards in case of prebooking. 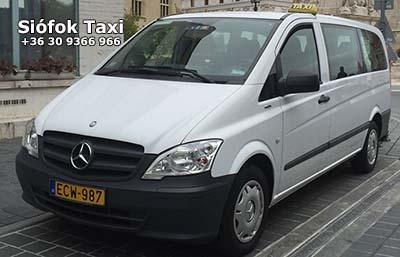 Taxi Siófok MPV – Minivan taxi, which is only allowed for the transportion of the maximum of 6 passengers according to the law. With even more space and luggage-rack, it is really comfortable for long trips, airport transfers, hotel transfers, international journeys with many suitcases. Fully air-conditioned premium category, especially for smaller groups. 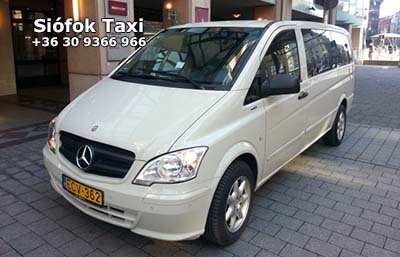 Minibus Siófok – Mercedes minivan for 9 passengers, fully air-conditioned, premium category. Best option for companies, sports events, conferences. English, German, Hungarian speaking driver, payment with creditcard is available. We recommend this service for hotels, travel agencies, companies to carry out airport transfers or international trips. Between Budapest Airport and Siófok, the price can be more reasonable than travelling by train or bus.